Liquor Liability Insurance Louisiana – First-Rate Coverage Plans Are On the Market! 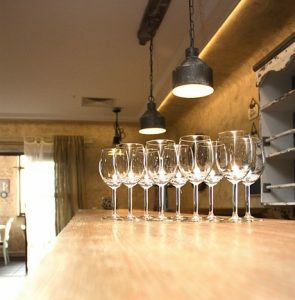 Need Liquor Liability Insurance in Louisiana for your restaurant, nightclub, or tavern? If so call 337-824-4455 to speak with one of our representatives Monday – Friday 8:00 AM to 12:00 PM and after lunch from 1:00 PM to 4:30 PM CST. For the last few months, we have considered our continuing fictional story about the exploits of a restaurant owner named Pete Ross. The life of Pete’s restaurant, called Squeaky Pete’s Pork Emporium, has been a rocky one, to say the least. Pete and his restaurant have endured a series of traumatic events including fire, food loss due to a power outage, a lawsuit from an injured patron, and an injured employee. The most recent catastrophe to befall Squeaky Pete’s Pork Emporium may be the worst yet, though. A drunken dump truck operator named Chuck, owner of Lucky Chuck’s Haul and Dump, crashed his HUGE dump truck into the side of Pete’s restaurant, causing significant damage. Pete’s insurance agent, Tracy, advised Pete to submit an insurance claim to the insurance firm that underwrites the driver’s dump truck, so Pete did just that. The physical damage to Pete’s restaurant came in at around $190,000 and Pete estimates he will lose an additional $75,000 while his restaurant is under construction due to lost business. After a three day investigation, the commercial truck insurance company providing coverage for Lucky Chuck’s Haul and Dump, ABC Insurance, accepts liability for the claim and agrees to reimburse Pete just over $265,000. The claims manager of ABC Insurance, Steve Stone, who approved the $265,000 payout on Lucky Chuck’s Hall and Dump insurance policy wants to see whether or not there are any contributing factors that may lead to subrogation or reimbursement from a negligent third-party such as a restaurant or bar where Chuck became intoxicated. After an extensive interview with Chuck, the owner of Lucky Chuck’s Hall and Dump, Steve Stone is convinced the bar may be liable as the bartender clearly served far too much alcohol to Chuck which led to the accident he caused. Steve forwards his recommendation to the legal department and after some joint consultation, ABC Insurance decides to take legal action. ABC Insurance files a lawsuit against the bar specifying that liability for the accident belongs to the bartender who over served Chuck prior to the accident, citing Louisiana’s Serving Intoxicated Persons (SIP) Laws. What does this mean for the bar? Will their Business Insurance policy defend against this lawsuit? We’ll address those questions in future articles. Louisiana Liquor Liability Insurance – Don’t Delay! Contact Our Company Today! Need Liquor Liability Insurance for your restaurant, nightclub, or tavern? This is a very important coverage to not be without. 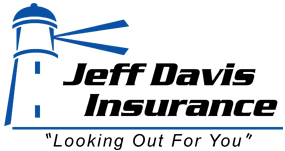 Call Jeff Davis Insurance right now at 337-824-4455 to speak with one of our licensed representatives, or if you find our website after hours choose one of the below links closest to your location, click the link, submit a few necessary details about your business, and one of our representatives will get back with you soon.